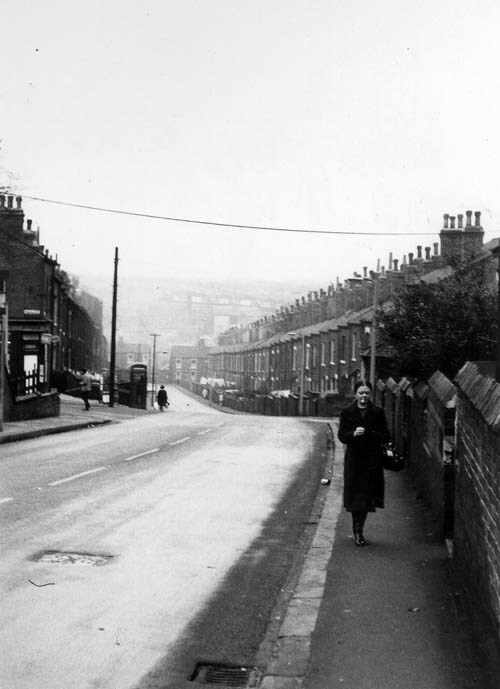 This week, Librarian Antony Ramm provides some context for a popular 1970 photo of Leeds. 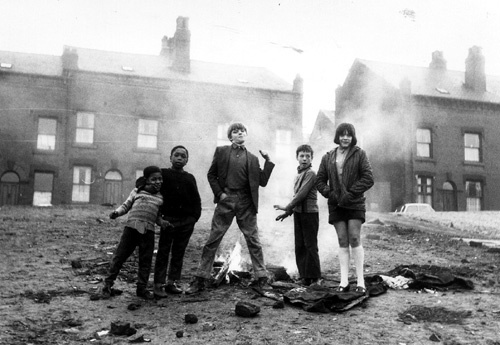 Our Leodis archive is home to thousands of historical photos of Leeds, but one in particular caught a lot of attention on social media over the last few weeks: this 1970 image showing a group of children in the Servia Hill area of Woodhouse. 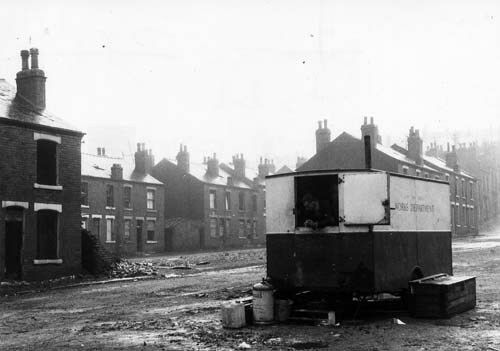 The photo – entitled “Butch and Mates” – is from a wider collection called Woodhouse and Camp Road, Leeds: Photographic Survey & Notes, 1970, available to view in our Local and Family History department, and which includes over a hundred other images of the Woodhouse area at the start of the 1970s. 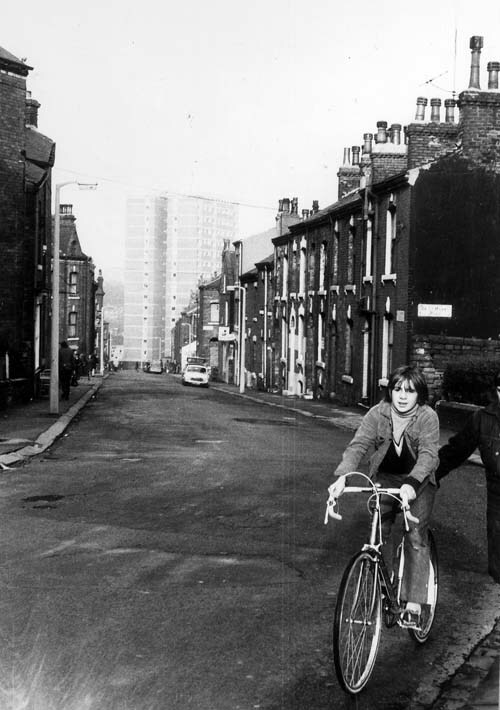 Woodhouse – as with so many other areas of Leeds – was (and still is) well-known, even notorious, for the perceived low-quality of its dense back-to-back terraced housing; that housing, and its future, being the focus of the photos in the 1970 collection (all the images in this article are taken from the album). Those lines, then, seem to be the heart of the matter, and precisely what people respond to in the ‘Butch and Mates’ photograph (together with the diverse nature of its cast) – the strength of individual personalities and the community’s refusal to submit: their demand for recognition. 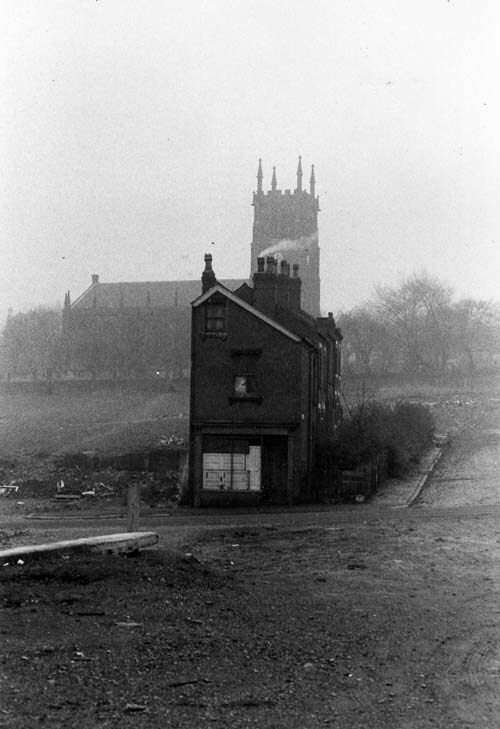 Any time spent with the Woodhouse album, even at this fifty-year remove, redeems that claim for recognition; brings into sharp relief the tenacity of a community that refused to die, even as it was being slowly diminished and hollowed-out, street by street, house by house. That community survives in these images, even as it fades from memory. I’m not too sure I entirely agree with what has been written as a commentary on these images. First just a factual point with regard to “arbitrary eviction” – these clearance areas were not arbitrary as suggested here they were based on surveys which were undertaken based on legislated housing standards which were in force at the time. So although the areas chosen might have seen as illogically defined they were not simply random selections. I think today, speaking as someone who was involved in these housing struggles, that a rosy image of back to back housing area – I won’t use the word community – is now creeping into what amount to contemporary reflections of the past. 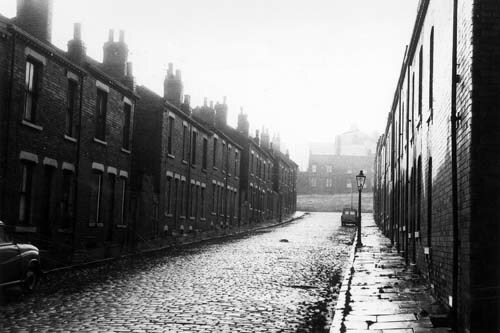 People living in these areas often wanted to leave their damp and dilapidated homes especially when a better council house was the alternative. So in practice there was no unified “community” resolute to stay. You are correct to say the clearance process itself undermined these areas further but underlying this was a basic material struggle between owners who had invested in their homes and wanted to stay and tenants of unimproved private landlord properties who wanted to go. Thank you for much for these comments, which are much appreciated. Would it be OK for me to e-mail you about this? Fine but email edward.walley@ntlworld.com – I appreciate the work you are doing even if I don’t agree with some of the detail.